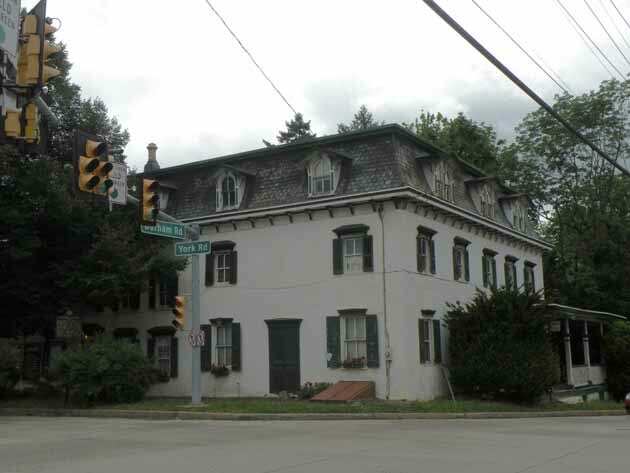 The inn and tavern now known as the General Greene Inn was first opened for business by Henry Jamison in 1763. 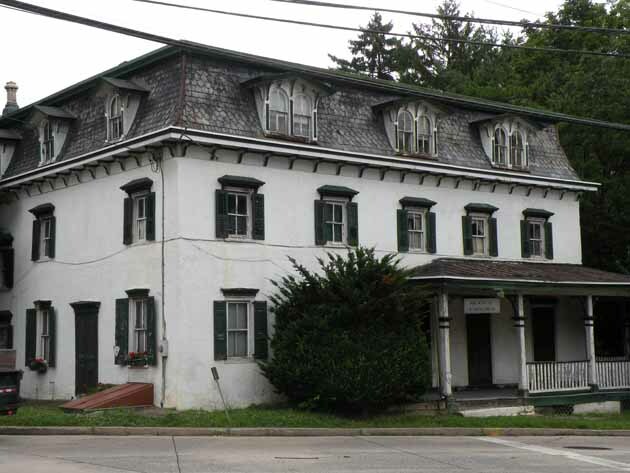 The Bucks county Committee of Safety met in the tavern in the summer of 1775 to organize opposition to British rule, and patriots continued to meet there during the war years. 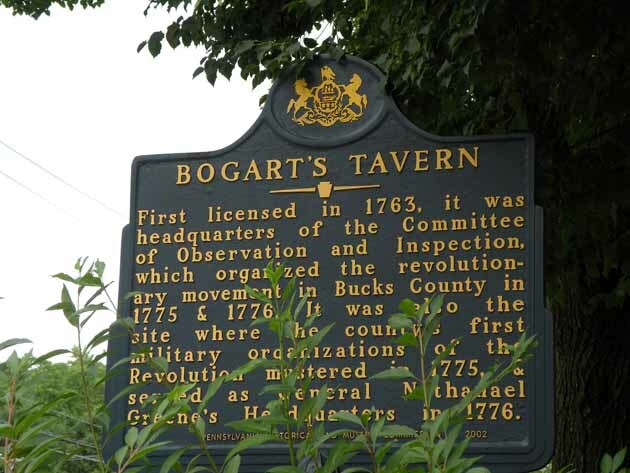 By 1776, when General Nathaniel Greene used the tavern as his headquarters, Jamison’s widow had married John Bogart, and the inn was known as Bogart’s Tavern. From this place General Greene ordered “sixteen Durham boats and flats down to McConkey’s ferry” on December 10th, 1776. These boats were used for the Christmas crossing of the Delaware and the subsequent successful battle in Trenton. 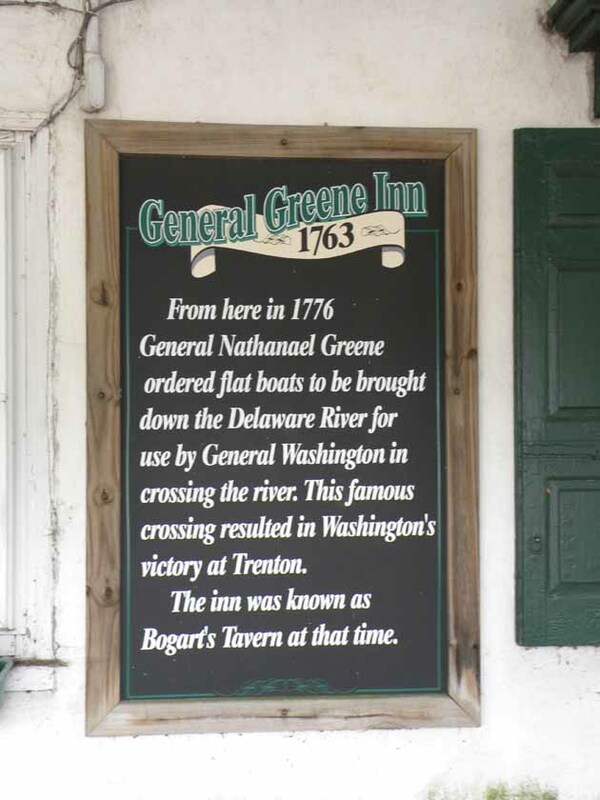 The tavern has also been called by various owners’ names and by General Greene’s name. The inn is closed to visitors and part of the property is now an antique store.